Another Step Forward in post-surgical splinting. Bracing device offers more rigid splinting action. Offers post-operative security, aids in control of swelling and gives additional help in maintaining alignment. This is the brace only, does not include the bunion splint. 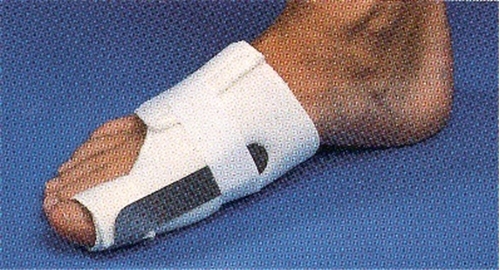 For the splint, see this product: Jacoby Bunion Splint (item #101). For more information about bunions, visit http://www.footcaredirect.com/bunion.html.